Lorito Books’ President, Pam Fochtman, worked in the audiobook industry for several years as Sales Manager for Landmark Audiobooks, a distributor serving the library market. Requests for audiobooks in Spanish provided her with the idea for Lorito Books, and graduate studies at the University of Denver in Latin American trade and economics reinforced her vision. She has traveled extensively throughout Latin America and volunteered at an orphanage in Chihuahua, Chihuahua, for several years. She is currently a member of the Institute for International Education and works with Friendship Bridge, an NGO that provides microcredit for indigenous women in Guatemala. The annual event celebrating the freedom to read and the importance of the First Amendment, takes place September 30 to October 6 and it is sponsored by American Booksellers Association; American Booksellers Foundation for Free Expression; the American Library Association; American Society of Journalists and Authors, among others. 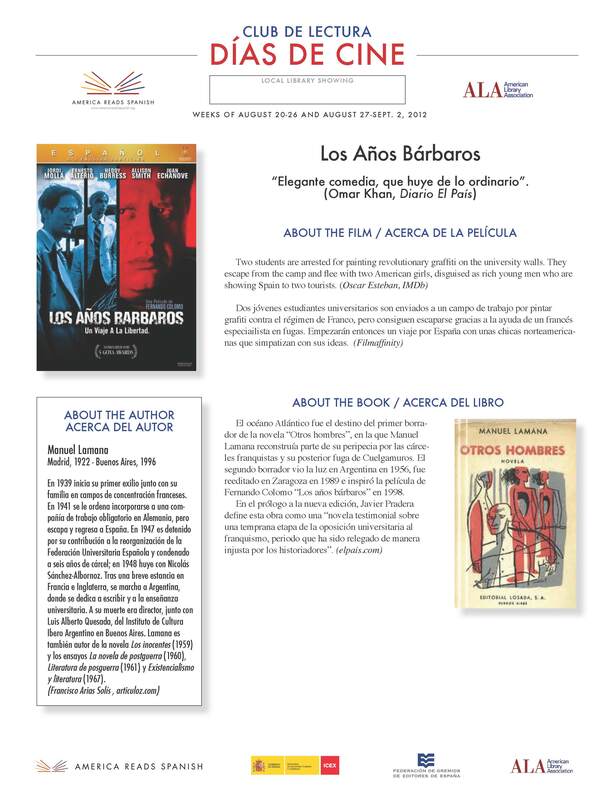 The movie, based on Manuel Lamana's “Otros hombres,” is featured at the Días de Cine Reading Club until September 2nd. This initiative is sponsored by the America Reads Spanish program and the American Library Association to promote literature and the Spanish language in American libraries and universities. Read in this issue an interview with Leopoldo Brizuela, Premio Alfaguara 2012; plus news and book reviews like Jaime Bayly's latest novel, “Escupirán sobre mi tumba,” and Charles Samuel's “Chicharito”. 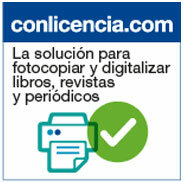 Nielsen BookScan, part of the Nielsen Company (US) LLC, and America Reads Spanish (ARS) present the free, weekly list of the Spanish bestseller titles in the US Market for week 33 of 2012 (week ending 08/19/2012). The library that develops the best public awareness campaign using the National Library Week theme will be awarded $3,000 to promote its library and library services. The grand is sponsored by Scholastic Library Publishing, a division of Scholastic. The deadline to submit applications is Sept. 30. Speaker proposals will be accepted until October 15th. The International Conference will take place February 27 through March 1, 2013 in San Antonio, Texas. The report describes general features and attributes of the current e-book environment, outlines constraints and restrictions of current business models, and suggests opportunities for publishers to showcase content through public libraries. More than 50 conferences and over 100 experts will analyze the challenges, growth opportunities and new business models that are emerging for the publishing sector in this new context, during the October International Book Fair.